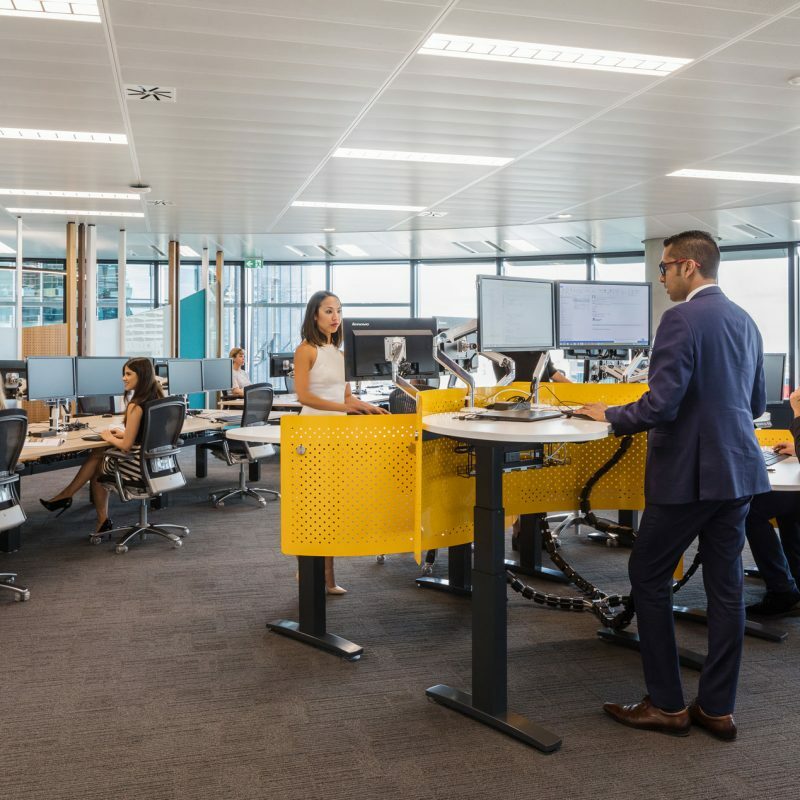 When you change the physical workspace you change the way people behave, and that can make all the difference to employee wellbeing, performance, productivity and organisational results. 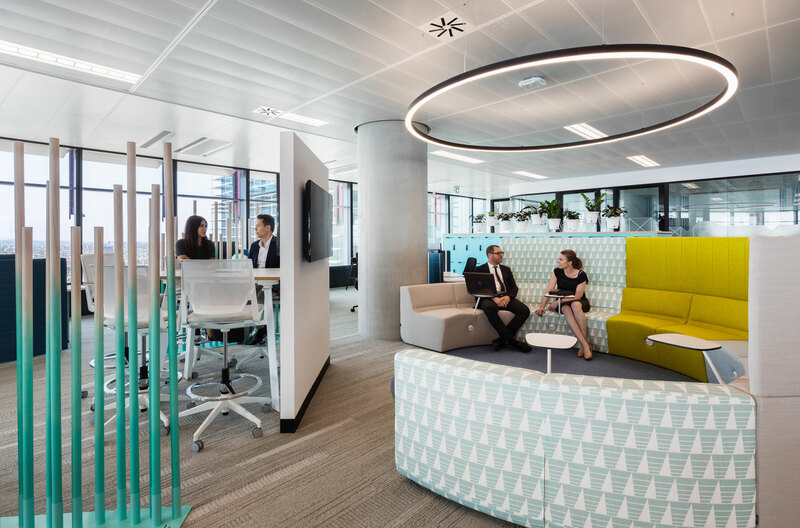 Davenport Campbell, one of Sydney’s most innovative interior design and architecture firms, has developed the philosophy of Human Design Thinking which aligns people and their workspace, to ensure creativity is optimised and meaningful connections are made. But what are the golden rules or guiding principles of great office design that help employees do their best work? Davenport Campbell has listed the seven fundamental principles that form great workplace design below. Not all employees operate effectively in the same way – some people like to sit quietly and work through the detail, some like to brainstorm in the moment with their colleagues while others like to gather a few good minds and work it out together. Great workplaces allow for different types of workplace psychologies. Providing a workplace where employees can pick and choose how and where they work best will help improve staff retention and productivity, as well as employee happiness. People work in cycles, not in a straight timeline, say from 9 to 5. Human Design Thinking allows for the natural flow of human physiology from high impact activity to rest and recovery. People’s emotions change when they move between different spaces, for instance, from busy meeting spaces to small, quiet intensive workspaces and to relaxing, comfortable and private environments to rejuvenate and recharge. Many people do their best work when they come together to collaborate. 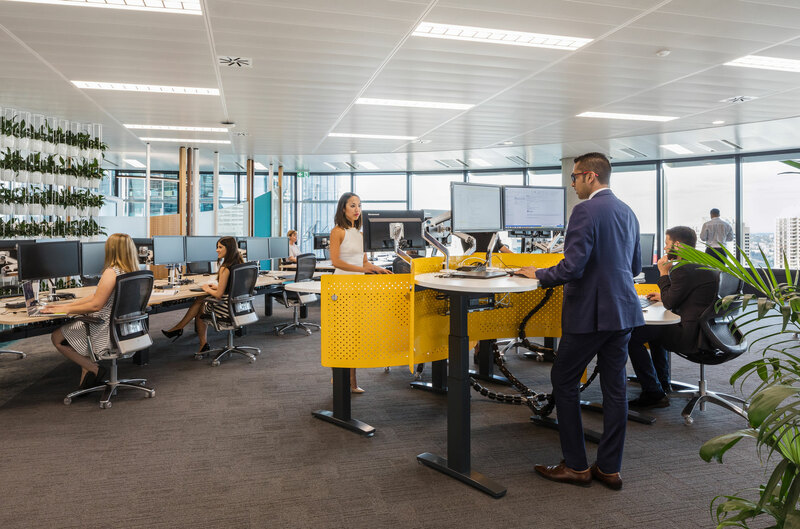 Providing workspaces that encourage people to meet, share and interact, on a personal and one-to-one level is essential to employee happiness. Social spaces are different from commons areas. Communal spaces, such as kitchens and breakout rooms are neutral territories where employees can connect on issues that don’t relate to work tasks or clients. Design should break down silos and hierarchies, while protecting privacy. Human design is about supporting the intrinsic need for people to belong at work and to socialise between intensive work blocks. The best thinking takes place away from the desk, so workplaces need to differentiate themselves through creativity and innovation by including spaces for hackathons, design thinking, huddles and brainstorms in the office layout. 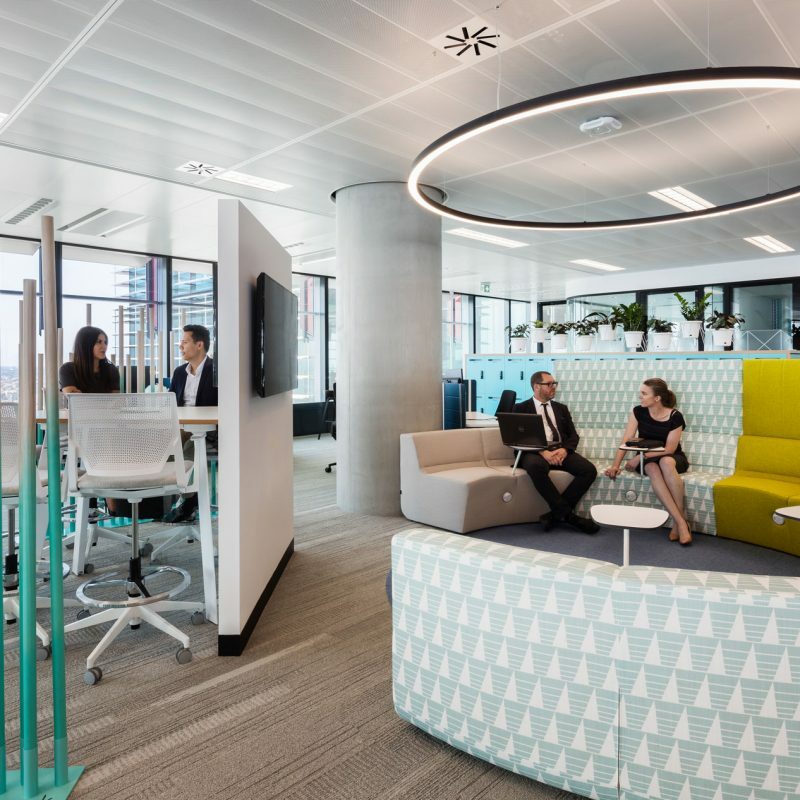 These spaces help to showcase the DNA and commitment of an organisation to create a happier work environment for employees and in turn, better results for clients. Inevitably, the role of design in a workplace is not just to help people do what they want better, faster and easier, it should also help to humanise the workspace and extend into the wider community. Designing for humans recognises that office spaces should support the psychological needs of employees to optimise happiness and productivity. This means creating break out spaces and quiet areas to support and encourage the variety of workstyles for all staff. The physical environment has an effect on the psychological mindset of people through natural light, colours, textures, angles, surfaces, biophilia and sound. Stimulation is especially crucial for the workspace, though on the other hand, over stimulation can be detrimental. Bright colours, loud music and plants with overpowering scents can all affect productivity and overall happiness. Design should optimise emotional agility to allow workers to operate at their best in any situation. In creative work, empathy and emotional intelligence are critical attributes that can be enhanced through physical design. Colour is a popular design element, though a focus on natural materials has been shown to produce more effective results among employees in today’s environment. Humans are automatically calmer around nature, including exposed timber, plants, fresh air and access to natural light. For creativity to truly flourish and take root, workplaces need to express and manifest human traits such as curiosity, empathy, optimism and resilience. People don’t sit at their desk and work on a spreadsheet or project plan all day long anymore. The experience of work is changing and workplace design needs to allow and enable people to adapt and shift to different modes of work. For instance, in an innovation environment people need to be able to move between technical work and ideation and experimentation easily and quickly. Spaces that allow employees to play and explore new ideas, test new thinking and allow controlled risk taking are paramount to innovation. Create environments where people feel comfortable doing different types of ‘work’ without feeling like they are seen as unproductive. Technology enables humans to do their best. Sometimes we forget this basic premise. Human design asks: how can we apply technology, such as productivity apps, progress boards, social connectivity software, to stimulate collaboration and creativity, to support people doing their jobs.